Nepeta Cataria (scientific name of catnip) is a herbaceous plant used as an ornament or as a natural herbal remedy for humans. But for everyone this herb remains, though, the “cat grass“. The catnip leaves fact have an irresistible smell for these animals and those who want to grow it as an ornamental plant, would have a hard time with a cat at home. The active substance in the leaves of this herb, “nepetalactone“, has a euphoric, aphrodisiac and rejuvenating effect, even on very lazy or older cats. And it is shown that it can improve the mood of our feline friends simply smelling it. This herb belongs to the family of the mind and, as such, it gives off a very intense aroma. Cats also can benefit from the ingestion of the leaves as rich in vitamins and minerals, or in some cases because they are able to induce vomiting and solve the problem of the accumulation of hair in the stomach. In short, you should make catnip available to your kitty to please him and make him happy. But this is not the only way to exploit the benefits of this plant on domestic cats. Nepeta Cataria can be used fresh or dried. In both forms, it has different modes of use. Normally you should give the cat only the portion of leaves cut for pruning. This way, you can continue to cultivate the same seedlings without having to sow new ones every time the cat has finished the catnip made available to him. Usually, it is recommended not to exceed two or three doses per week. It’s not addictive (as someone believe), but there is the possibility that the cat get used to the plant, not receiving more healthful effects when eaten everyday. Proceed as above, except that the leaves are pounded a bit before giving them to your cat. In this way, the aroma is released even better and your feline friend can not resist! The fresh grass can be rubbed on the scratching post of your four-legged friend. This way, you may convince him more easily to use it, instead of scratching sofas, curtains, or furniture. The same way of previous point, you can rub a little of catnip on new items that you have introduced in the house and that the cat does not seem to accept (blankets, kennels, hygienic boxes, toys, new collars or bandanas, etc.). It is not guaranteed to work, but you should give it a try before you give up and get rid of the new object introduced in your house. Rubbing a bit of fresh catnip in his travel carrier, you should be able to get you cat meekly on departure. 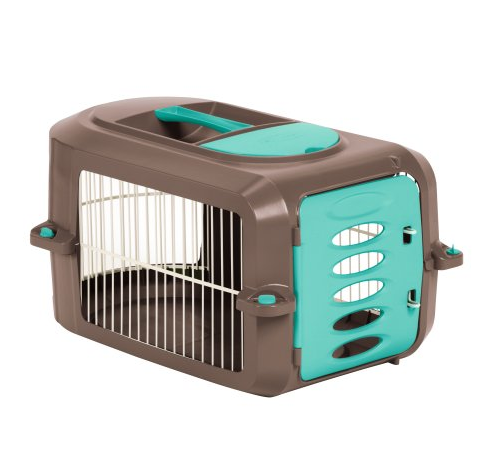 You surely know that when it’s time to bring your feline friend to the vet, most of the cases he disappear or engage fights to the death with you to not enter into the carrier. This is indicated for inappetent cats. 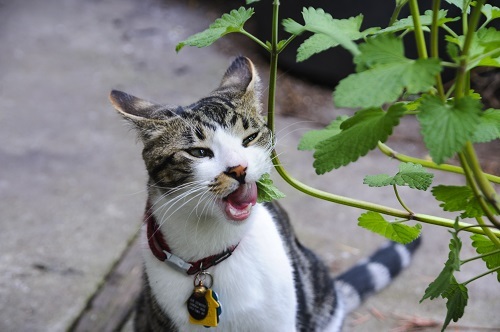 A little of chopped fresh catnip can be also added in the food to entice inappetent animals, because very picky or convalescent, to help them eating. 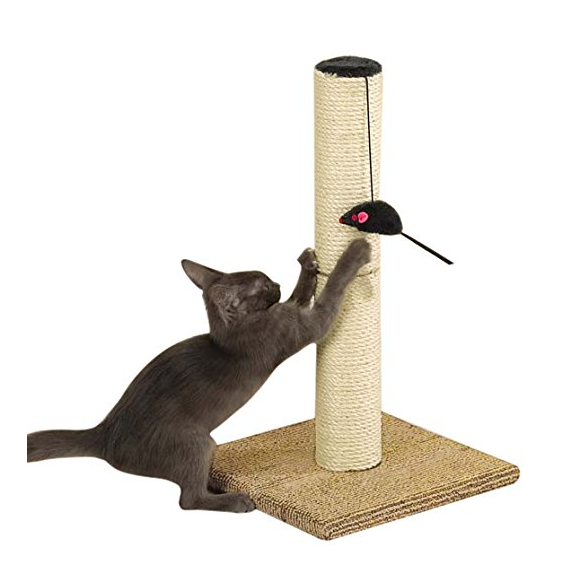 To make the game even a more exciting moment or invite your particularly lazy cat to do some “movement”, you may want to rub a little of catnip on his toys. You may also want to create new toys that have inside dried catmint. When introducing a cat into a new environment, you can rub the catnip in the spaces intended for him to set him more quickly and with less stress. Whether is for your feline friend playful moments or for a different reason, I hope this article will help you to find catnip useful for many purposes. Enjoy the several uses of catmint! We recently took in a cat that needed to be re homed due to illness of the previous owner. and has not used the litter box which he was previously used to. Have you tried with catnip? That must have been an extremely amusing show to watch….Thanks for sharing it with us. Put dried catnip in her food to hopefully get her to eat more. Semi successful. Any other ideas would be welcomed. Have you tried with fresh catnip, Jennifer? Some leaves, for example?